The Jay Lady Royals beat Freeport Thursday night for the District 3-1A Championship in Baker. The Royals dominated 46-32 for the first district title since 1996 when they went on two win the state title. Madison Mathis led the Lady Royals with 12 points and six blocks. Hayden Burkett also added 10 for the Royals. 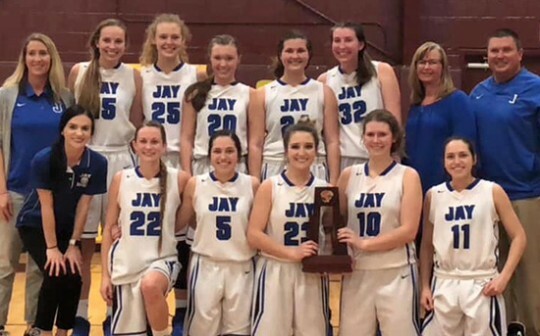 Jay will host Franklin County on Thursday. Way to go girls. Great job !!!!!!!!! Hope you go all the way this year.